Sealing HVAC ducts and penetrations. The same heating, vacuum and air conditioning systems that make a home comfortable create penetrations (openings) that can create drafts, making living spaces uncomfortable. These penetrations not only allow air to seep into and out of the home, but they also may be forcing appliances to work harder than they need to. 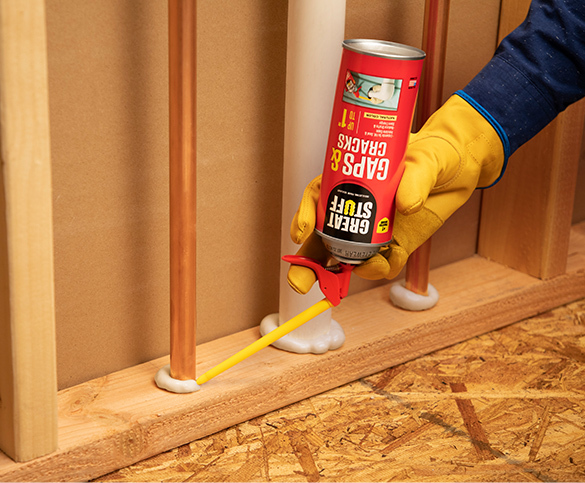 The air stops here with GREAT STUFF™/GREAT STUFF PRO™ Insulating Foam Sealants and FROTH-PAK™ Foam Sealant. Expands to fill gaps and cracks up to 1". Use inside or out to fill gaps and cracks around plumbing lines and rim joists, in attics and basements, and more. Expands to fill gaps up to 3”. Use inside or out to fill gaps and cracks around plumbing lines and rim joists, in attics and basements, and more. Use in gaps and cracks up to 3". Bonds to wood, metal, masonry, glass and most plastics. It’s recognized as a fire blocking sealant. Easily recognizable by its orange color. 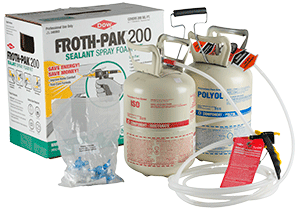 FROTH-PAK™ Spray Foam Sealant is a two-component, quick-curing, chemically-cured polyurethane foam, intended for professional use only with appropriate safety equipment. Need a bit more convincing about air sealing? Find out more about GREAT STUFF PRO™ Gasket for your building needs. 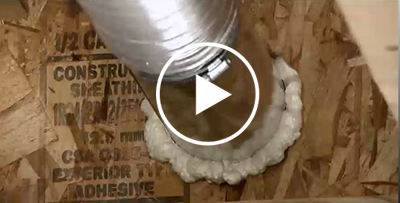 View air sealing how-to videos. Check out air sealing projects on Pinterest.